There are a number of innovations in residential construction that have come and gone throughout the years. Certain designs, however, have simply never been bested in terms of their visual appeal, durability, functionality, and efficiency among other things. This is definitely true of sash windows. Although countless innovations have been made in window technologies, none of these have been able to trump the overall value and benefits that quality sashes are capable of supply. 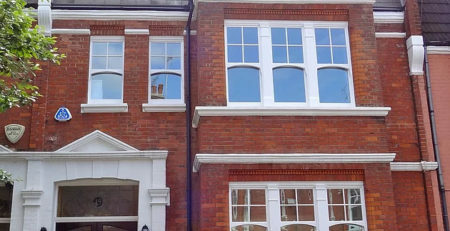 Following are several reasons why you should consider installing sash window designs for your next home improvement project. Sashes are capable of significantly increasing the overall efficiency of homes. While energy efficiency is a fairly modern concern, this is a benefit that these products have been providing for more than three hundred years. Made from high-quality hard-wood and capable of providing improved ventilation, units like these have long been known to create comfortable, charming, living environments. As such, adding these to your abode is an excellent way to increase its marketability. Property residents can also look forward to far better ventilation in their homes once these units have been installed. You only need to crack a sash window in order to get an incredible amount of air flow. This helps clear out air that is stale or stagnant and it can additionally lend a hand in improving the overall indoor air quality. Indoor contaminants can flow out of the unit along with dirt, dust and other particulates, while fresh, clean air flows in. You may be living in dated residential construction that was obviously built without the duct work for accommodating modern HVAC technologies. In cases like these, many property residents find themselves relying on cost, window ACs or freestanding units. You can eliminate the need for costly and inefficient technologies like these by simply investing in windows that have their very own, cooling capabilities. With several sashes throughout the home cracked slightly open, you will have a nice cross breeze that will quickly create an environment that everyone feels comfortable in. Another benefit that should not be overlooked when calculating the value of these popular upgrades is increased overall home security. If you want to leave your windows cracked all night long, you can. There is no need to worry about having someone force their way into your abode. This is because sashes can be securely locked tight, even when they are in a slightly opened position. As a result, homeowners can enjoy optimum air flow all night long, with absolutely no fear of intruders. This is hardly the case with even the most ambitious and innovative, vinyl or aluminum window designs. It is also important to note that even if a single pane is smashed out, consumers can still rest comfortably in their homes until the necessary repairs have been performed. 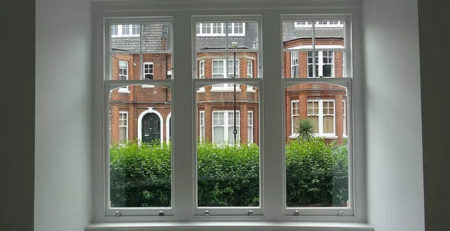 That is because many sash window styles are comprised of multiple panes. As such, the openings that are left behind after breakage occurs are hardly large enough to let a full-sized person in. The glazing bars will prevent unauthorized access entirely, thereby giving homeowners dramatically increased peace of mind. There are also countless, secure options that you can choose from when it comes to having new sashes installed. For instance, homeowners can now invest in double and triple glazed sash window designs. Not only do these advanced products provide a higher level of energy efficiency, but they also play a role in increasing home security in this respect as well. People who are concerned with the natural environment and their impact on it will love the environmentally-friendly nature of both these products and the manufacturing processes that are used to produce them. Real wood windows can come from materials that have been sourced from reputable and truly ethical suppliers. While you might wonder or worry about deforestation, all of the wood that is used to produced these products becomes a part of something that is guaranteed to last. These windows are truly enduring and some properties still have sashes that were designed and installed several decades ago. The natural insulating properties of real wood should not be overlooked either. Wood is a very inefficient conductor of heat. As such, it is one of the best, natural forms of insulation available. Due to this fact, it will be easier for property owners to maintain ambient indoor temperatures all throughout the year once these products have been installed. Moreover, you can look forward to having windows that experience far less issues with expansion and contraction, even during times of temperature extreme. This means having far fewer droughts, and now worries about having cracks or gaps develop along your window frames. If you currently have sashes in your home but know that these need repaired or restored, you can always contract a local manufacturing and installation company to get the help you need. Having these existing features brought back to a reliable and visually appealing condition is a great way to protect and even enhance the overall value of your abode. This is especially true if you happen to live in a dated or even historic property. You certainly want to preserve and protect the authenticity of the original building structure and the only way to do this is by preserving as many of the existing building features as possible. A reputable repair and restoration service will keep the hardware from these initial structures and can effectively recreate any wooden features that have succumbed to the ravages of poor maintenance over time. Working with a reputable supplier will only increase the value and benefits that are gained from this important, residential improvement. That’s because the best manufacturers within this industry take care of everything in-house and without outsourcing anything to third-party unknowns. This promotes the highest possible levels of quality control and allows consumers to get truly superior, end-to-end customer care and support. Best of all, by making this upgrade, you can significantly increase your property’s value. An investment such as this one is guaranteed to pay for itself throughout the years.